Looking for a great wisdom Bible verse to teach your child? Teaching kids about wisdom is an important part of teaching kids about God. Maybe you’d like a wisdom Bible verse to share for a child’s graduation or other special event. Or perhaps you just want to hear what the Bible says about wisdom (in order to share about it with your children as part of their character training). 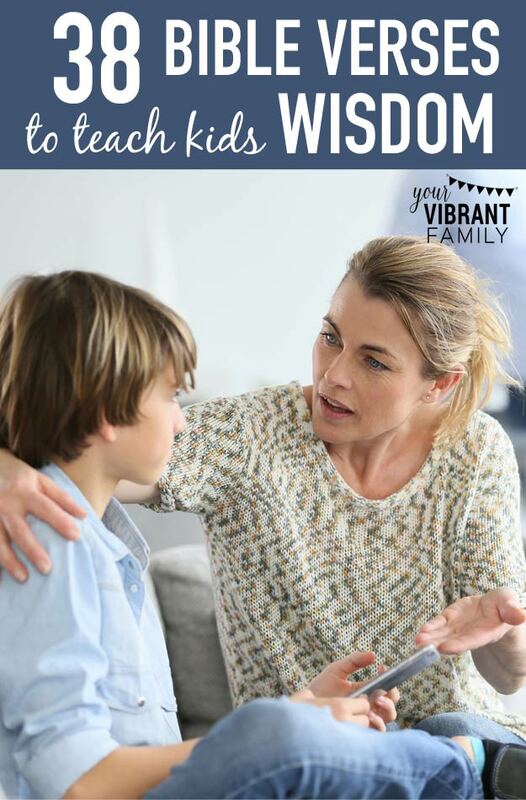 Whether you’re explaining wisdom to a child (or you’re looking for Bible verses about wisdom for yourself) you’ll love this ultimate list of 28 wisdom Bible verses! The best way to learn any wisdom Bible verse is to study it in detail and apply it to one’s life. And that’s exactly why teaching kids how to have a daily Bible study is an important part of teaching them how to have wisdom. We must teach our children how to understand and apply God’s wisdom to their lives, and then encourage them to study the Bible everyday so that God’s wisdom becomes a natural part of their thinking. One of the easiest ways to do this is the 5Rs Bible Study Method. This simple Bible study method teaches anyone to “Read, Rewrite, Restate, Relate, and Respond” to a Bible verse. Just click here and I’d be glad to send you the video course! Ready to see the Bible verses for wisdom? First, I’ve divided the verses into different aspects of wisdom so that you can talk to your kids about the different aspects of wisdom. Second, I want to reiterate how important it is to not just read these wisdom Bible verses to your children. 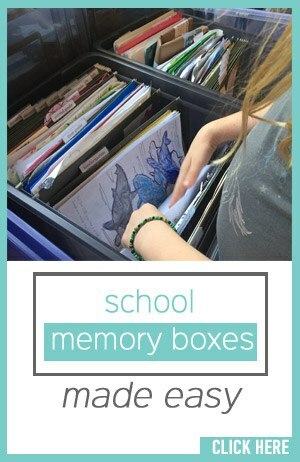 We must teach our kids how to make God’s wisdom part of their thinking (this post has some good ideas on how to do that). Speaking of that, imagine how awesome it would be to study these wisdom scriptures with your child, and to teach them how to apply these truths to his or her daily thinking! Let me show you an easy way to teach kids to study the Bible using the 5Rs Bible Study™ Method. 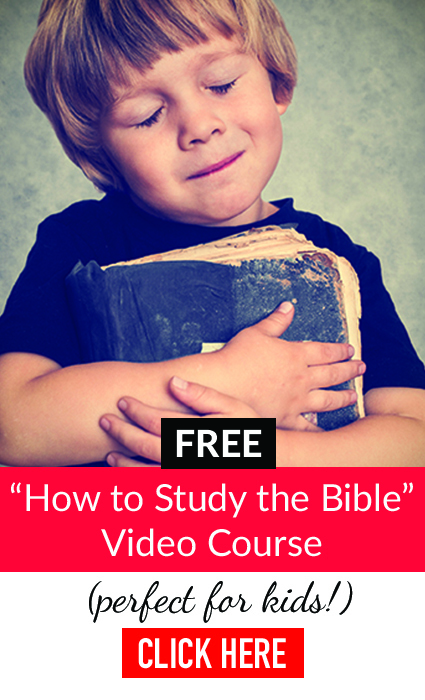 This free video course teaches you step-by-step about this amazing Bible study method that allows anyone to connect deeply with God in under 10 minutes a day! Alright! Here are 38 wisdom Bible verses to teach your kids. Aren’t these Bible verses about wisdom so rich and full of power? They’re amazing, right? Which wisdom Bible verse is your favorite? I love them all, but my favorite has to be Proverbs 24:3-4 which compares wisdom to the foundation of house. What a beautiful visual! Wisdom is the foundational place from which all other spiritual growth springs. Yes! Just another reason why teaching wisdom to children should be a high priority in our Christian parenting. Now you have a great list of wisdom Bible verses. But what will you do with it? How will you allow these truths to sink into your child’s heart (or in your own heart if you’d like to grow in wisdom as well)? My recommendation? I highly encourage you to include daily Bible study into your routine. And the best Bible study method I’ve found is the 5Rs Bible Study Method, which allows anyone to understand and apply biblical truth to their lives in under 10 minutes a day. That’s why I want to make sure… Did you click to get the free “How to Study the Bible” video course so that your kids can learn how to easily study these wisdom Bible verses? If not, what are you waiting for? 🙂 Just click here and I’ll have this free 3-session course sent straight to your inbox. Let me show you how to help your kids develop the critical spiritual growth skill of learning how to understand Bible verses and apply them to their lives.